Here is a selection of our etching printing presses for sale. All of our presses are multi – printers able to print all intaglio and relief. Our presses are hand made in Shropshire by our team managed by specialist printmaker Dave Gunning BA(HONS) who designed the presses over 40 years ago. These excellent printing presses have been selling all over the world ever since.. 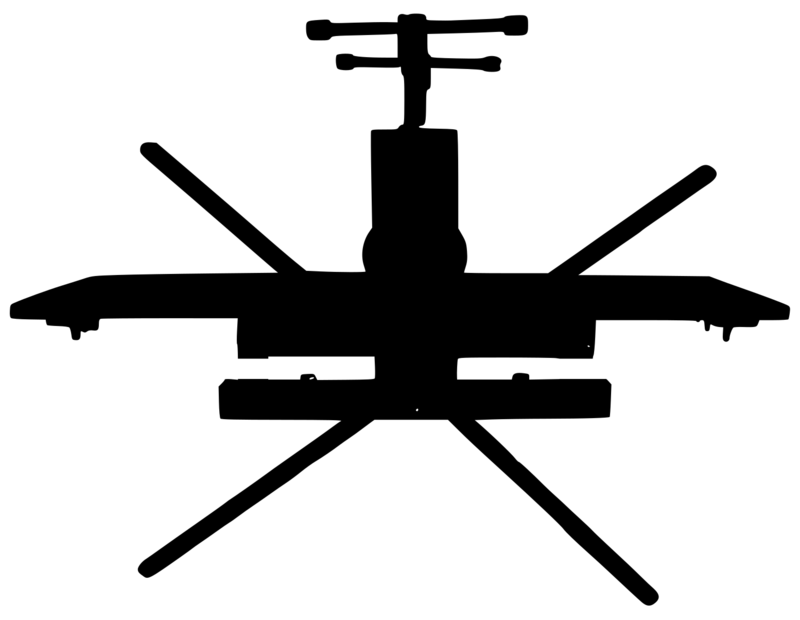 They can be delivered to anywhere in the UK, Europe, America, Africa, Asia and Australia. 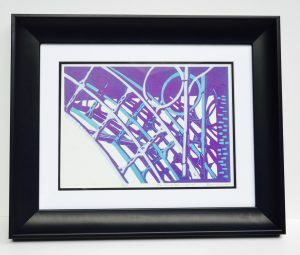 Our Etching Printing press range give outstanding results, offering reliability and flexibility. 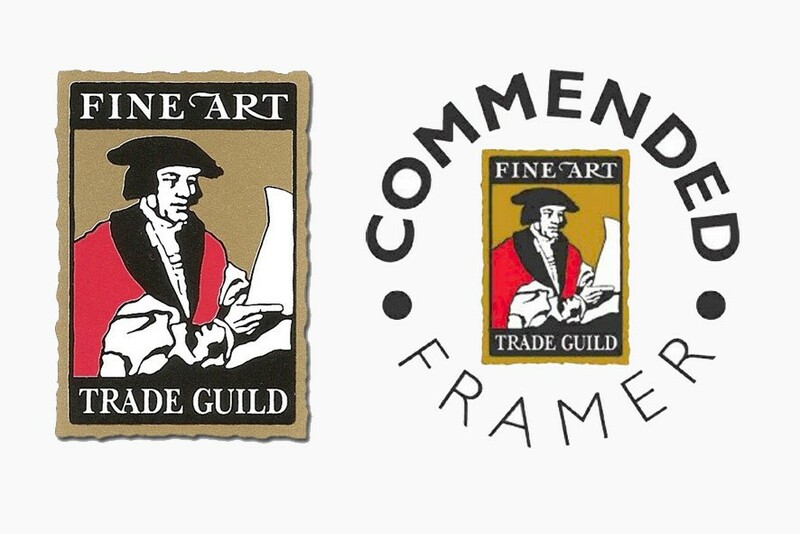 Trusted by academic organisations and by 1000’s of artists around the world of all skill levels. 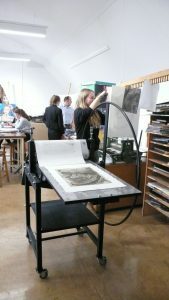 It is simple and quick to set the pressure for any thickness and detail of plate, dry-points, etchings, solar plates, collagraphs, any thickness of woodblocks, linos, reductions, Japanese ply, carborundum, photopolymer, mezzotint and anything in between. 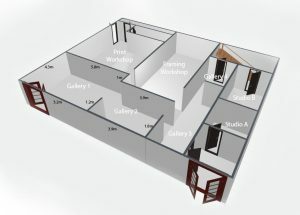 We can deliver and set up for you, and also show you how to make plates and print from them. 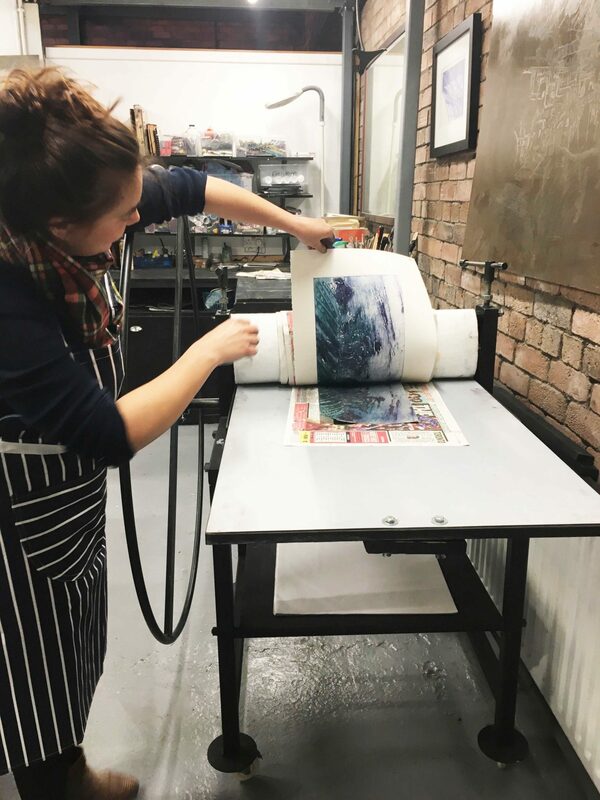 You can come to our printmaking gallery and workshop to print some of your own plates (or ours if you don’t have any) allowing you to get the feel of our range of presses. 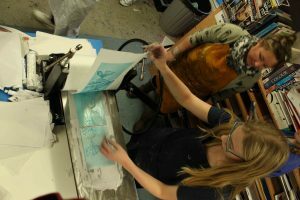 If you ever need any help with anything technical we are full time printmakers so just give us a call. 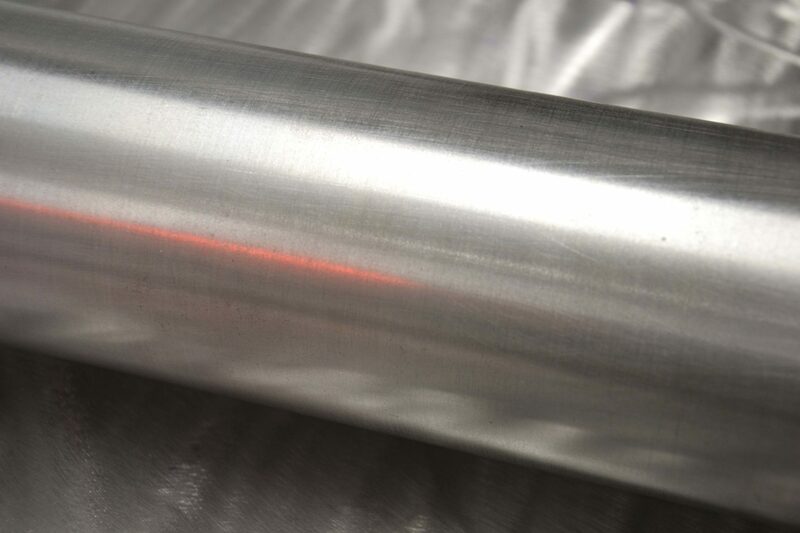 Our direct drive presses are made using fabricated steel, dense walled cylinders and pre-oiled bearings, available with either a star or round wheel. 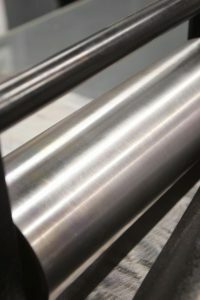 The Gunning Arts Presses are easily maintained and include safety features such as bed safety stops, press lock down as well as easy removal of star or round wheel and press bed. 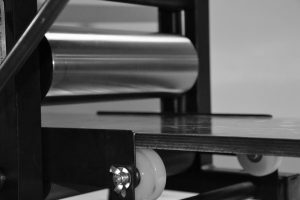 Each press is supplied with runners and a printing blanket so you can get printing straight away and easily print many different thicknesses of plate. We also offer a wide range of printmaking materials including many thicknesses of runners and wool printing blankets. 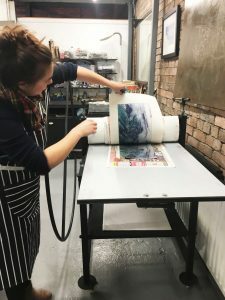 Dave Gunning’s daughters Jenny Gunning BA(HONS)GCF (Specialist Printmaker) and Sarah Morris (Giclée printer, framer and colour specialist) are the sole distributor of the Gunning Arts Presses and sell the machines all over the world. Interest free monthly payments are available so please ring for more details and see the delivery and workshop options below. Call Us Now On 01952 434 033 To Find Out More About our Printing Presses. 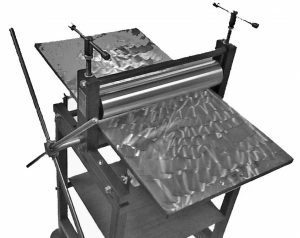 Little Thumper Press – Bench Top or Stand Optional – Multi Printer – Direct Drive. This Bench top press is a lovely portable size so its great for the traveling printmaker. It is chunky and fun to use and easy to maintain. Press Prices. All prices Inc VAT. 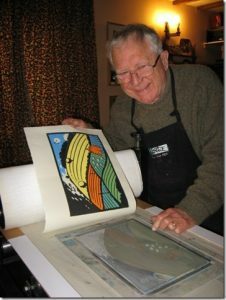 1 printing Blanket is included in the cost of the press, which prints all intaglio and Relief very well. 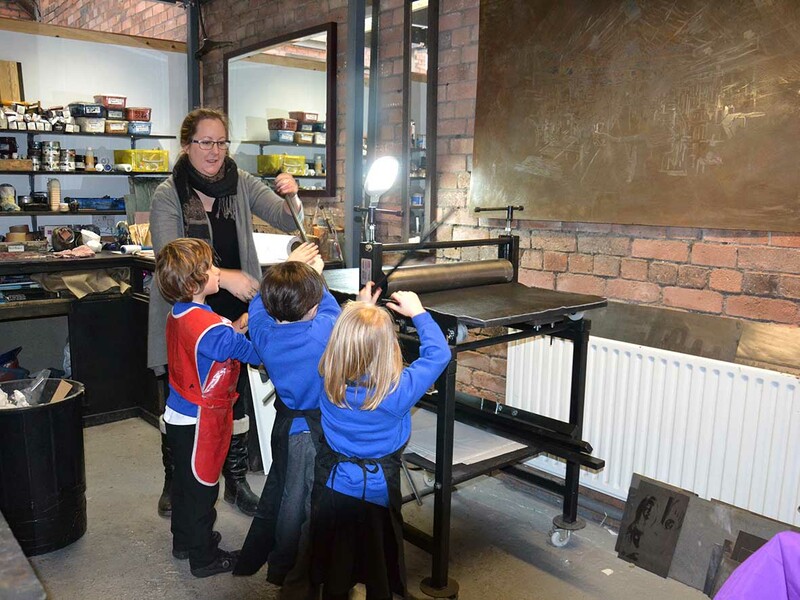 Etching Printing Press No1 – Bench Top or Stand Optional – Multi Printer – Direct Drive. This portable multi printer is easy to use and maintain. 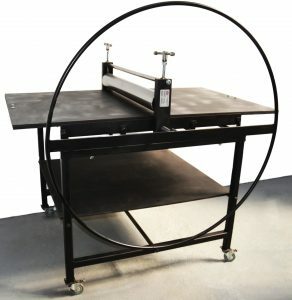 For the traveling printmaker who needs a good size portable machine. 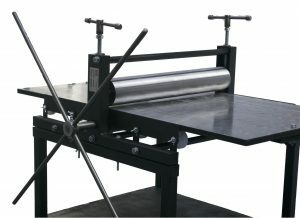 1 printing Blanket is included in the cost of the press. Plus you can add to your order, A set of two, 1 x 2mm thick and 1 x 3mm thick Blankets £95. A set of two 3mm thick blankets £95. A set of three blankets. £140. They are 80% unwoven wool felt and can be dry-cleaned. For our suggestions on which combinations of Matt, Blankets and Runners to use for all the different kinds of plates see the product description and for more blanket options follow this link. 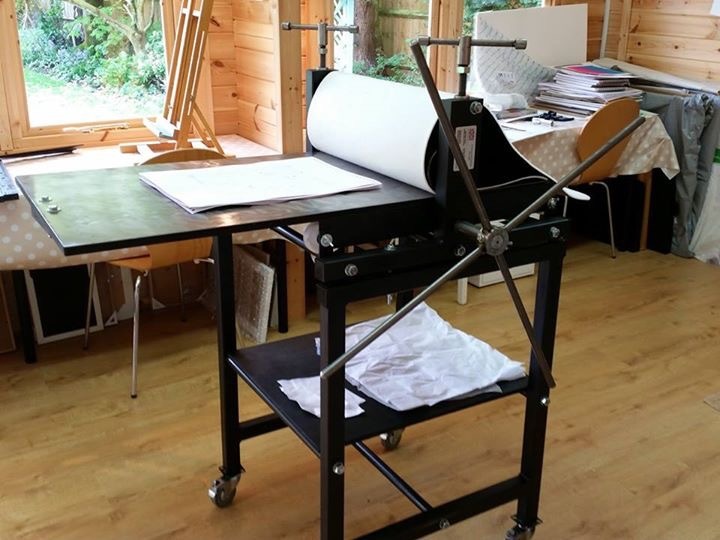 Etching Printing Press No2 – Bench Top or Stand Optional – Multi Printer -Direct Drive. This printing machine has a great sized bed and is ideal for the studio location. It is easily wheeled on its stand with lockable wheels. A set of three blankets. £220. They are 80% unwoven wool felt and can be dry-cleaned. For our suggestions on which combinations of Matt, Blankets and Runners to use for all the different kinds of plates see the product description and for more blanket options follow this link. Etching Printing Press No3 – Multi printer – Direct drive. This is an excellent size press and is easily moved on its stand with lockable wheels. A set of three blankets. £280. They are 80% unwoven wool felt and can be dry-cleaned. For our suggestions on which combinations of Matt, Blankets and Runners to use for all the different kinds of plates see the product description and for more blanket options follow this link. Etching Printing Press No4 – Multi Printer – Direct Drive. This is the biggest size press in our range, if you would like to come and have a print please give us a call and arrange an appointment. A set of three blankets. £400 They are 80% unwoven wool felt and can be dry-cleaned. For our suggestions on which combinations of Matt, Blankets and Runners to use for all the different kinds of plates see the product description and for more blanket options follow this link.